High-quality protein supplement (90 grams of protein per 100g of product) created from a mixture of protein isolate and concentrate whey and micellar casein. MATRIX PROTEINS WITH DIFFERENT ABSORPTION. PERFECT FOR PLAYERS STRENGTH AND ENDURANCE. 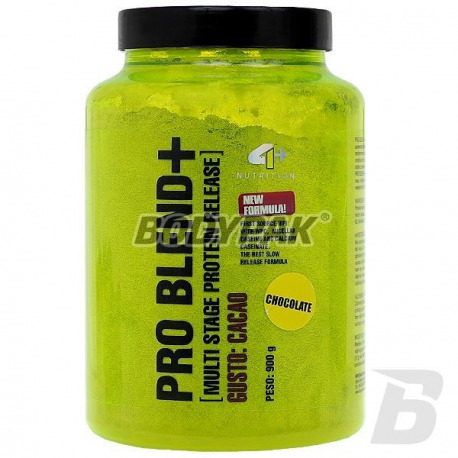 4+ BLEND PRO + is a high quality protein supplement (90g protein per 100g of product) created from a mixture of protein isolate and concentrate whey and micellar casein. Thanks to its advanced formula preparation will provide a permanent and extended during the supply of amino acids, which can last up to 6 hours of consumption. And with the use of whey isolate you can be sure that your muscles get a solid dose of building materials after a few minutes of the adoption of serving! Manufacturer added to the product set of B vitamins that improve metabolism and reduce fatigue! 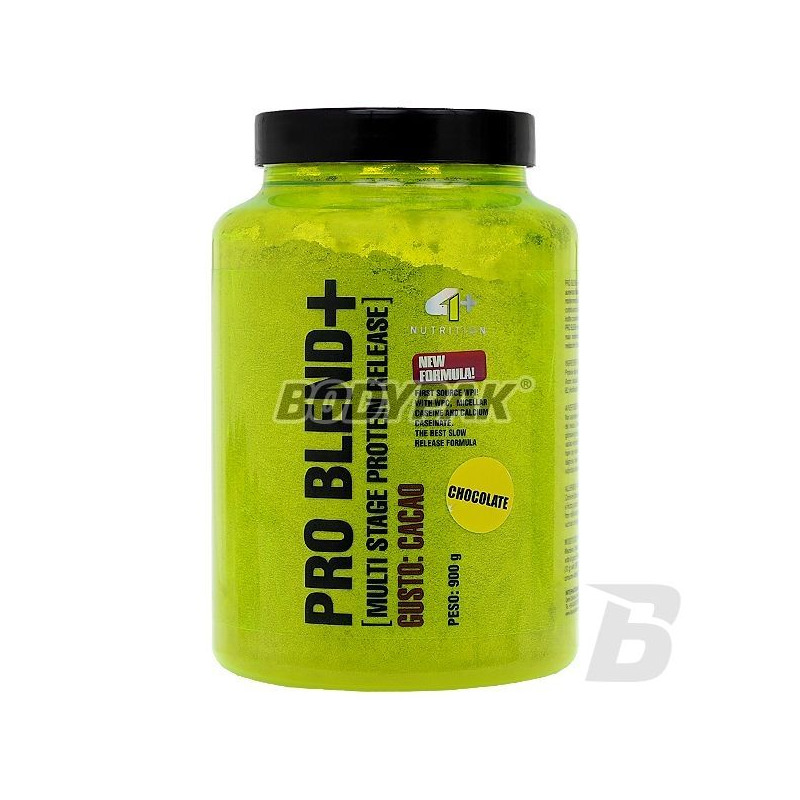 In addition, PRO BLEND + contains small amounts of carbohydrates and fats which plays an important role in building a lean and muscular body. This is one of the advantages that will surely appeal to the people during weight loss! 4+ PRO BLEND + - RESPONSE TO YOUR NEEDS! Składniki: izolat i koncentrat białek serwatki (zawiera emulgator: lecytynę sojową), kazeinian wapnia, kazeina micelarna, aromat, substancja słodząca (sukraloza), witamina B6 (chlorowodorek pirydoksyny), witamina B2 (ryboflawina), witamina B1 (chlorowodorek tiaminy).